These are two things I have on my desk. 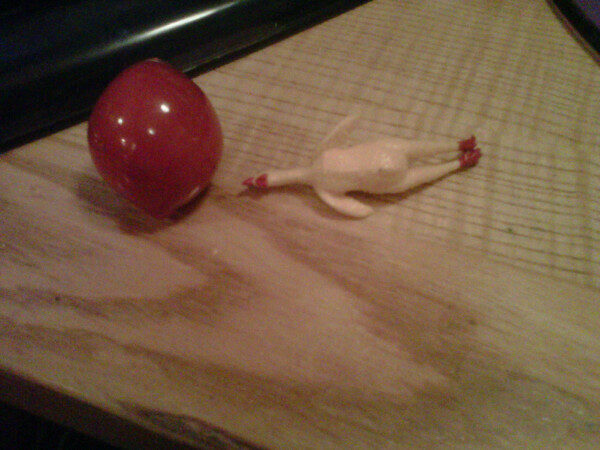 A clown nose and a mini rubber chicken. I really want to push it on them. from involving clown noses and rubber chickens.